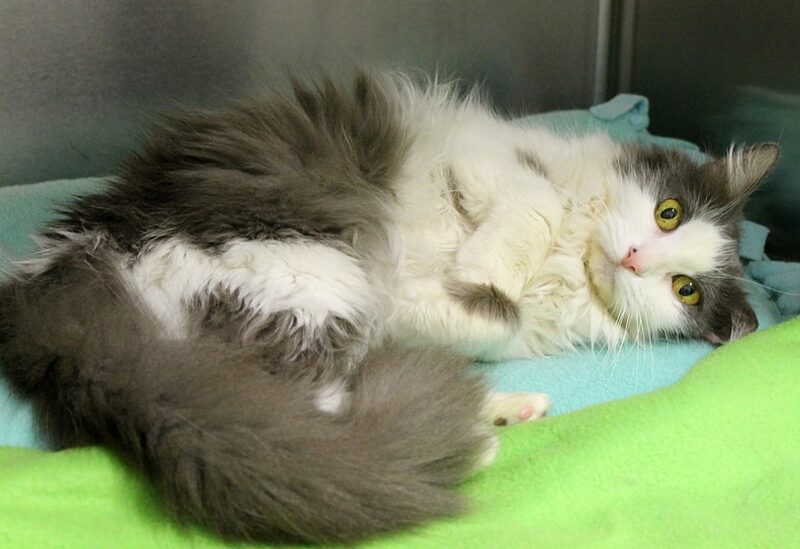 I am the gorgeous Little Miss Sunshine, ready to win your heart! 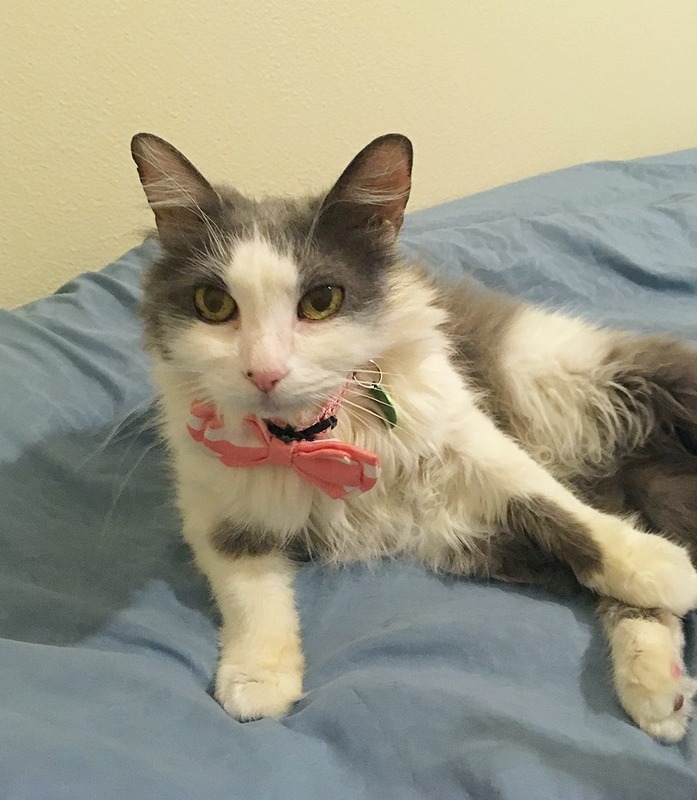 I’m a very petite 10-year-old girl that is also an incredibly sweet lap cat looking for lots of admiration, snuggles, and a furever home. 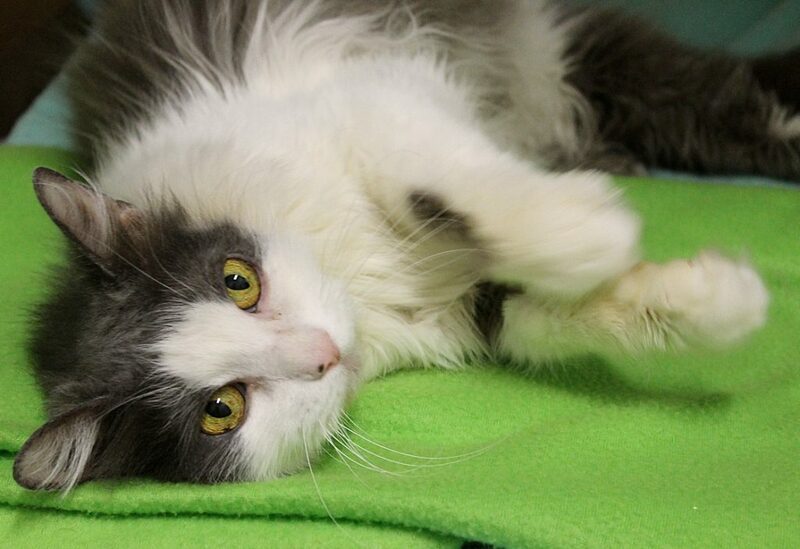 What makes me different from other kitties in the adoption pagaent is that I will gently roll over, purr and make biscuits when humans are kind enough to offer me attention, and I will even let you rub my belly! I also have the most beautiful yellow eyes that are sure to charm you. If I were to win the competition for your heart, I would use my crown to improve your life dramatically with lots of cuddles in bed, by warming your lap, and by giving you daily smiles. My favorite pass-times include hanging out on the couch for TV time with my human, cuddling up in warm blankets, and spreading love and happiness wherever I can. Aside from being a beauty queen, I am also very healthy and easy-going. Pixie has provided a dental for me and also discovered after doing blood work on me that I was hyperthyroid, so now I’m on a very affordable daily medication that keeps me happy and hearty. I’m incredibly gentle and easy to administer meds to — I just love all people and don’t mind other animals at all. I used to live with another beautiful kitty like me and we got along just fine. Do you think I could be your number one? I can’t wait to meet you! I’m currently residing at Pixie, so stop by to give me some love today! I come to you fixed, vaccinated, and micro-chipped for an adoption fee of $80.